When most people think about a general contractor’s office, they think construction trailers, hard hats, and minimalist design. Back’s Construction’s headquarters in San Diego’s neighborhood of Little Italy couldn’t be further from that image (though they do have plenty of hard hats)! 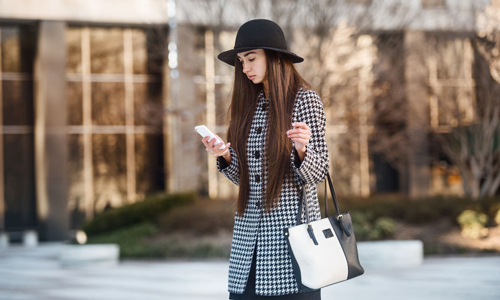 The millennial generation is frequently overscheduled and incessantly busy, yet millennials are also one of the most active generations, too. Eighty-one percent of millennials exercise regularly according to a 2014 Nielsen Consumer Exercise Trends Survey. How has such a busy generation mastered the balance of working and working out? 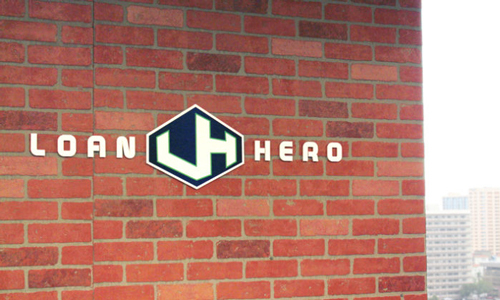 LoanHero’s new office on the 14th floor of Symphony Towers in downtown San Diego is high-end, eclectic, homey and… So. Much. Fun. The space has an open floor plan with four private offices/break-out rooms and a conference room, all designed with glass storefronts to let as much natural light flood through the space as possible (and provide for easy communication among team members). The team at Riot Games’ West LA headquarters doesn’t have anything to riot about – at least when it comes to their amazing office space! Riot Games is known for its game, League of Legends, which attracts over 100 million players per month. 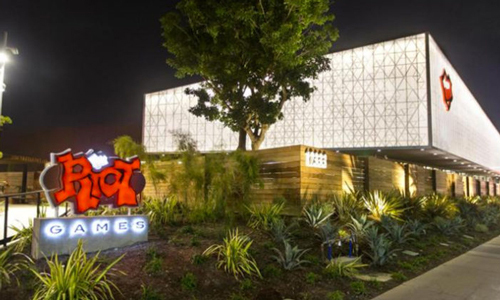 Named one of the nation’s best places to work by Fortune, Riot Games understands just how big of an asset their office space can be to employee happiness, stickiness, productivity, and an incredible company culture. Their “Riot Manifesto” is clear and concise: 1) Player experience first, 2) Challenge convention, 3) Focus on talent and team, 4) Take play seriously, and 5) Stay hungry, stay humble. 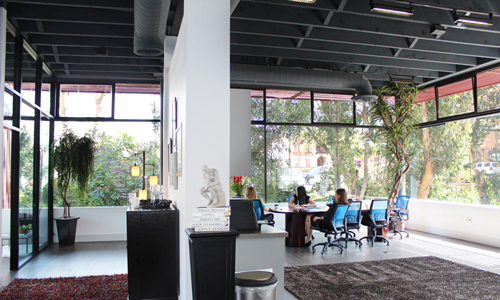 Their office space exemplifies #3 and #4 perfectly. IDEO, one of the world’s most innovative companies, has one of the world’s most innovative offices. The global design firm has 10 offices throughout the world – from Singapore to London to Chicago – each of them unique in style, but connected in its brand and values. 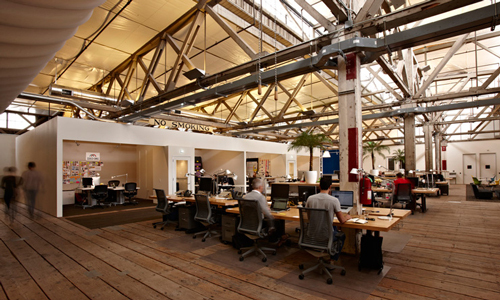 IDEO’s San Francisco office is located in the Port District…and it doesn’t get much cooler than this. The building has incredible bones. San Diego Magazine‘s Celebrating Women event honored dynamic San Diego women committed to creating positive change with power networking, a compelling panel discussion, and the announcement of special award winners at the Museum of Contemporary Art La Jolla on September 28. As employee health and wellness is brought to the forefront of today’s workplace, alternatives for sitting at a desk for seven or more hours a day are becoming increasingly popular. Slogans like “Sitting is the new smoking,” and “Sitting is the most underrated health threat of modern time,” have only brought attention to some of our nation’s challenges of obesity, high blood pressure, and heart disease. 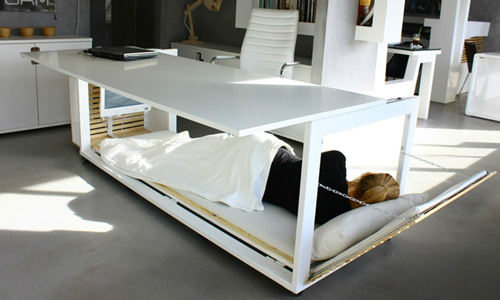 Enter creative desk solutions. It started with the “stand up desk” – the easiest and least expensive way to combat sitting at your desk for hours at a day while still getting your work done. 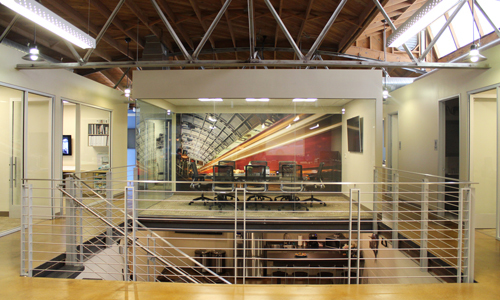 Intesa Communications Group’s west coast headquarters in San Diego is nothing short of creative, lofty, and inspiring. The PR, government relations, and digital firm occupies the Design Center on 5th Avenue, which was built in 1949 and designed by world-renowned mid-century architect, Lloyd Ruocco. Nestled into the trees in Hillcrest – and surrounded by some of the most popular restaurants in the city – this space feels like an urban tree house. 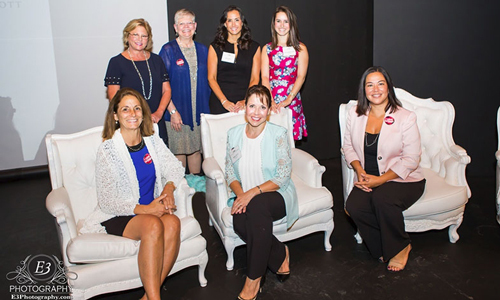 It’s widely known that women are underrepresented in key leadership positions and in the C-Suite throughout corporate America. According to the Center for American Progress, while women make up 45% of the overall S&P 500 labor force, they hold only 19% of board seats, and only 4.6% of CEO slots. Women also aren’t known for speaking up and standing out in meetings as much as their male counterparts. 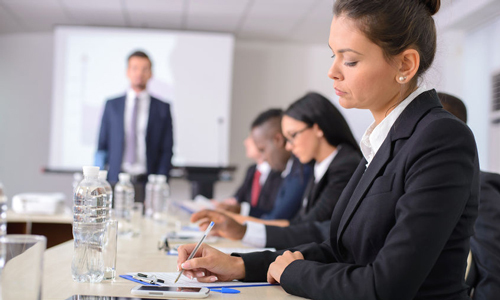 Whether it’s the cause – or the result – of women’s underrepresentation in the corporate hierarchy, it’s important that women in professional settings feel confident, respected, and appreciated when sharing their opinions and asking questions in meetings. There are few brands that I love as much as I love Lululemon. I would wear it all day, every day, if I could get away with it. I am still waiting for the high-end athletic wear retailer to put out a “professional” wear-to-work line. A girl can dream! 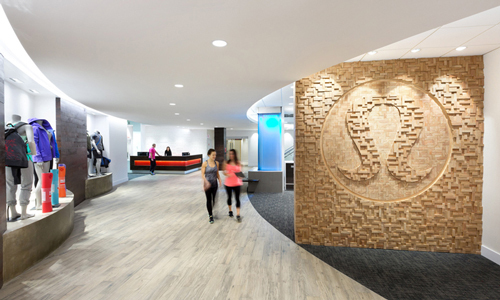 Aside from being a great company with amazing and stylish products, Lululemon also has an incredible office in Vancouver, Canada. It’s exactly how I would envision the active wear giant’s headquarters to look – characterized by clean lines, natural elements, and warm tones.